Apart from a happy "Yes, I will"
and "freed me from anger"..
Joy fill your way throughout! So happy for ya champ. Congo, when the wedding bells are ringing? Brilliant composition of words. Every single emotion could be felt...from the start to the end. And that end...Wow!! You are one hell of a poetess. Thank you so much dearie. Muaaaah. I don't know you...and I've just started reading you...but I really hope that the above is true. More so because my life is suddenly falling apart...its good to know others' lives are coming together. Its all true. Don't worry, I have reached here after crumbling down and seeing rock bottom. Everything shall pass, everything does. Thank you and all the best for your life. Just believe, it will all be right. Congrats! God bless...wish you both all the happiness for life. I've been reading your blog for so long. It's like I've literally seen you go through all the phases, rock-bottom included. All I can say you one hell of a woman, always positive, extremely strong. And I am really happy for you! Read 2 posts now. Very sane advice in previous post with truth so well told. Beautiful poem. Hope this is true for you. can i know which template did you applied? i would like to give the same present look to my blog. Unable to know how to as i relatively new to the blogging. feels happy if you wish to share that process. every post is beautiful., excited. Thank you so much and welcome here! This is the simple white default template from blogger. Ofcourse the header is mine. To a life of happiness, cheer, togetherness and prosperity!! Here's raising a toast to wish the hottest lioness around a perfect life ahead with her perfect man :) God bless you, babe. Soums been following you..i am just away for few months . 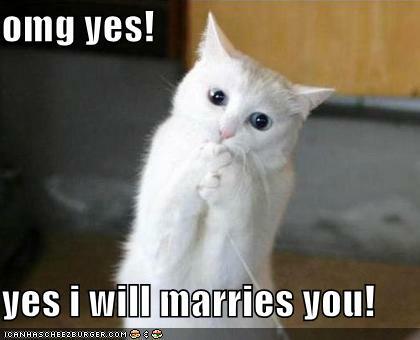 have missed you blog and here now i am reading you're getting married lioness ? hahahahaha..i am so happy for you...now i know you are so happy..Best wishes dear..ahhhhhh your life story has a beautiful end though i know life is just about to start...GOd bless you pretty witty ! Dear congrats..been away for months and here i know now you are getting married..hahaha the lioness is getting married..I am so happy for you... I been following you since from the start ,you know how i love your writing , just few months busy .. Best wishes pretty witty ! God bless you both !